WHAT: PAVERS FOR SALE!! 8x8 Eco-Priora Pavers will be installed at the new complex ready to be engraved with your name and memories! Once all the pavers are purchased, additional pavers cannot be added…so purchase your paver(s) now!!! Each line on the paver is limited to 18 characters, including commas & spaces. Pavers cannot exceed 5 lines. 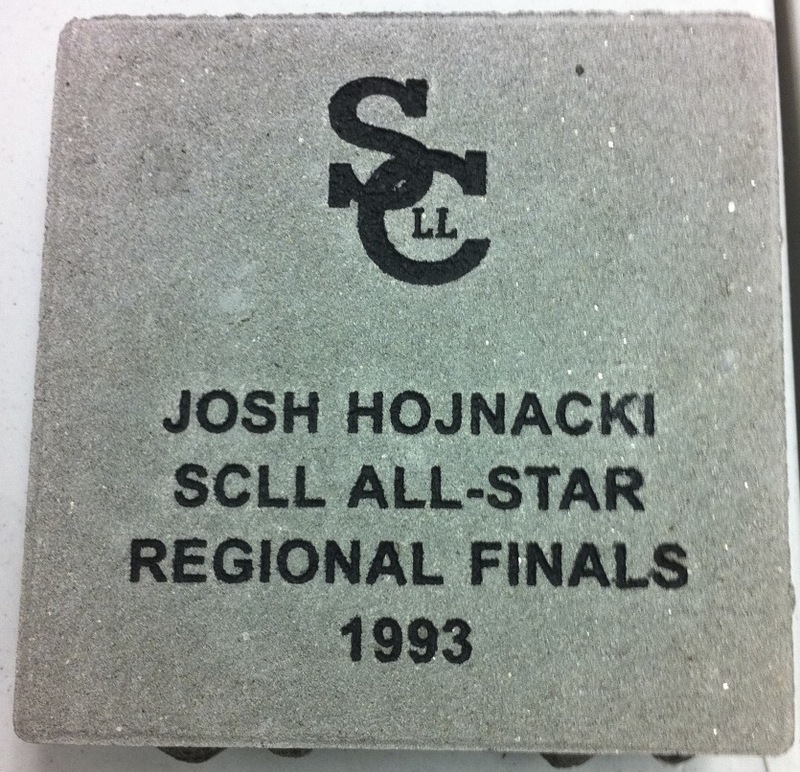 The SCLL logo will be on every paver. All pavers will be permanently installed and engraved on-site. WHEN: Pavers are on sale now. See the order link below. We will engrave pavers once SCLL secures a minimum group of 30 orders or at least once a year. WHY: Proceeds from your paver purchase will help pay off the debt SCLL incurred to purchase lights and scoreboards.